Christian Troop 794 is chartered to Mission Hills Church and has been an active troop since March 1, 1992. We are a family oriented year-round troop that meets weekly on Thursday nights. Our average annual membership is around 60-70 scouts. We consistently earn the National Gold Level Award of Excellence for our annual program, which includes: outings, community service, summer camp and high adventure. We hold a minimum of one troop outing each month and most months offer several camping opportunities. We strongly believe in trained leadership and promote scout participation at ILST, BigHorn NYLT, NAYLE, Okpik, Wilderness First Aid & Leave No Trace. 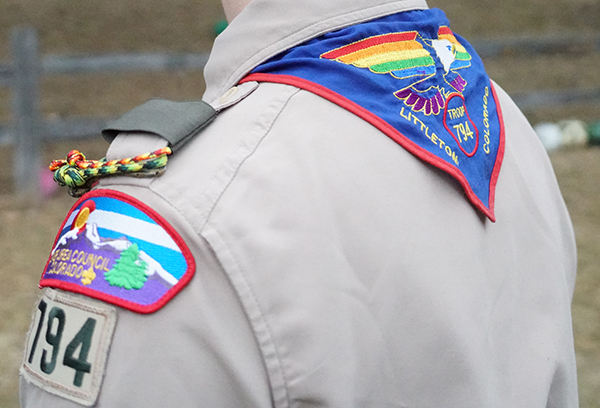 25% of scouts who join Troop 794 earn the rank of Eagle Scout.